Successfully Added Bluetooth Audio Dongle - Wirelessly Transmit Music to your Shopping Cart. Exceptional Bluetooth Dongle accessory for transmitting audio signals from any audio device with a 3.5mm Jack to your Bluetooth enabled device. 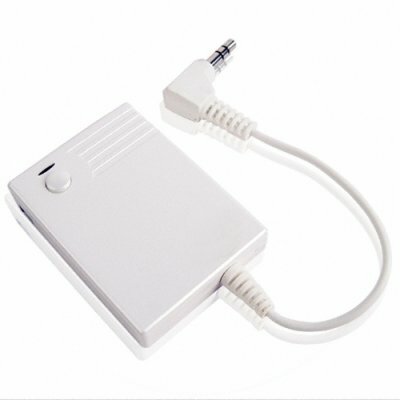 Simply put this means that you can plug this very slim device into maybe a MP3 player, pair the dongle with your Bluetooth Earphone, and listen to the music. The combinations are as varied as your imagination, and each pairing is simple and easy to do. Make you life more wire free with Chinavasions 3.5mm Audio Bluetooth Dongle with a bargain wholesale price and one year warranty. Note: This Bluetooth Dongle is only compatible with bluetooth earphones/headsets where the paring password is 0000. It will not work with earphones/headsets who have a different password..